Tough to get a replacement hydraulic filter, when I can, it is expensive and cheaply made. Just a thought, If I can get the thread, gasket to fit, what am I risking in using a high quality (say Wix?) 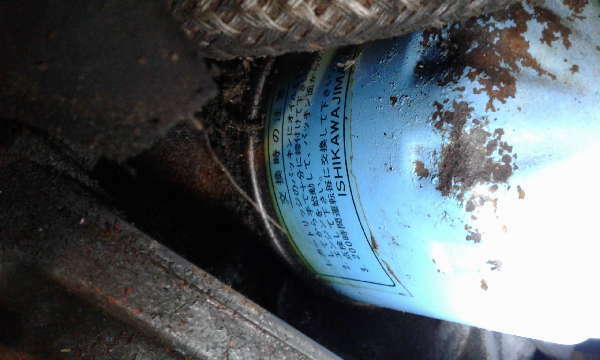 oil filter? One of the things that cropped up in recent posts has to do with brake pad residues. I hadn't considered it before but every time I use my wet brakes it adds pad "dust" to the hydraulic fluid. If it is not promptly and effectively filtered out it may prematurely wear out the hydraulic pump. I think hydraulic filters are built to different standards and do a different job than engine oil filters. Mark is right, there is a HUGE difference between oil & hydraulic fliters. They just happen to look a lot alike from the outside. Risks include the minor stuff like cavitation, up to big stuff like pump or other components failing. All in all, it's really not a good idea. I agree with Ted. Another issue to consider is the potential different in pressures that oil and hydraulic filters operate at. Just what type of machine is it that needs this hydraulic filter? I can't even get a clue from your profile.